Harley-Davidson Gray Dusk Flaming Skull Lighter | BUDK.com - Knives & Swords At The Lowest Prices! This officially licensed Harley-Davidson Gray Dusk Flaming Skull lighter is covered with fiery designs! 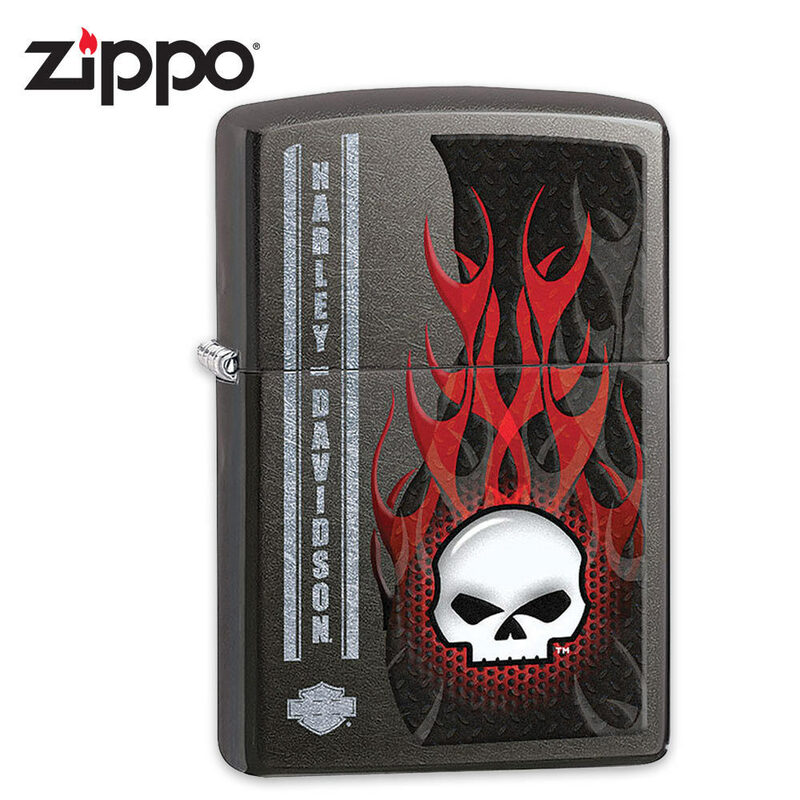 This windproof lighter features a gray dusk finish with a Harley-Davidson logo and a flaming skull design. Comes in an environmentally friendly gift box.